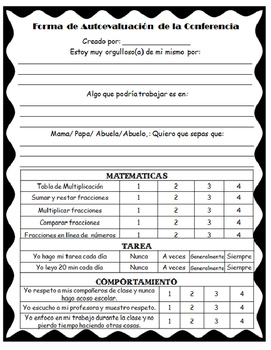 Student Self Evaluation Form for Conferences: English and Spanish! I designed this self evaluation form to help guide my student-led conferences. 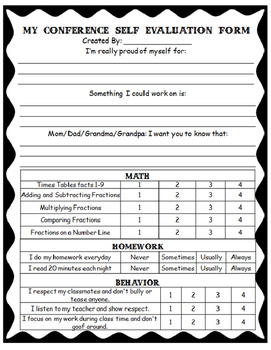 The document is editable to include different standards for student self evaluation. It also includes a behavior and homework section. I always start my conferences with this form. Students are their toughest critics and generally know where they are and where they are going.